I’m back with another giveaway, this time for a My Buggy Buddy Clip. I was given this as part of a bag of goodies from Kiddicare when I visited their Merry Hill store for a bloggers morning last year, and thought I would give it to one of my readers as I don’t need it myself. 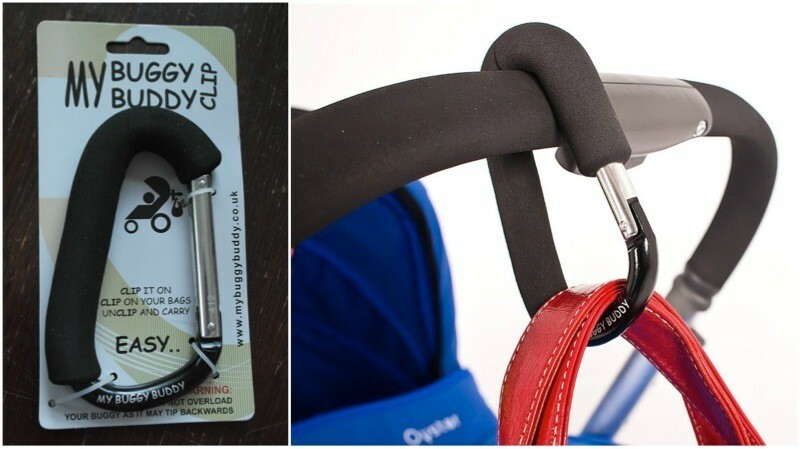 The My Buggy Buddy Clip is a handy clip for attaching bags to the handle of your pushchair. The foam covering prevents your pushchair handle from getting damaged and stops the clip from slipping about. I know quite a few mums who have given this their stamp of approval! To be in with a chance of winning this buggy buddy clip, leave me a comment to say hi and then fill in the rafflecopter widget below. Mother’s Day gift ideas, the 2013 edition!